There’s so much to love the Toyota 86 and Subaru BRZ twins for, but most of it boils down to their delightfully balanced chassis and affordable price point. So enamoured with the dynamic duo was Wheels, that we awarded them the Car of the Year gong in 2012. And with a new generation in the works, they could very well take out the prize once again. However, there’s been one gripe which has followed the 86 and BRZ for their eight years of existence like a big, dark cloud – the engine isn’t up to par with the rest of the car. The 2.0-litre naturally-aspirated four-cylinder boxer engine is a joint venture, with Subaru providing the core basics, while Toyota supplies the top end and ancillaries. When it debuted, the 86/BRZ duo produced 147kW and 205Nm; Toyota has lifted that to 152kW and 212Nm for three-pedal variants in the most recent facelift. Despite the power increase, the harsh truth is that the 86 and BRZ just aren’t as powerful as they need to be. We aren’t asking for a 300kW monster, but enough grunt to ensure the affordable sports coupe can fulfil its true potential. The easiest solution? Add boost. Aftermarket suppliers have been enjoying a gold rush with the 86 and BRZ, offering both turbocharger and supercharger kits to buyers that yearn for a few extra kilowatts. Now, with a second-generation on the horizon, it’s time Toyota and Subaru boost the 86 and BRZ from the factory. So, what do they have to choose from? Well, a The Japanese Times report from last year suggested the 2.4-litre turbocharged boxer from the Subaru Ascent could be used in the next-gen sports cars, due in 2021. The Ascent’s engine produces 197kW and 376Nm, and would allow for the 86/BRZ to have a lower centre of gravity compared to the current model. Subaru has two additional turbocharged boxer engines, in varying tunes, in its local line-up. A 2.0-litre boxer turbo is fitted to the WRX, in 197kW/350Nm and 221kW/407Nm tunes. A smaller 1.6-litre is slotted under the Levorg Wagon’s bonnet, with a 125kW/250Nm output. Due for an all-new generation soon, the 2020 Subaru WRX is expected to be fitted with a four-cylinder turbo-petrol boxer engine and hybrid or mild-hybrid power to further increase performance. A similar powertrain in a two-door sports car frame would be a delightful thing indeed. However, Toyota will be wary not to step on the toes of its reborn Supra, which now sits above the 86, with both turbo inline-six and –four engines. The Supra four-cylinder is available in two tunes, and “might” be coming to Australia. In its most powerful guise, the four-pot Supra will develop 190kW and 400Nm for a 0-100km/h sprint of 5.1 seconds. 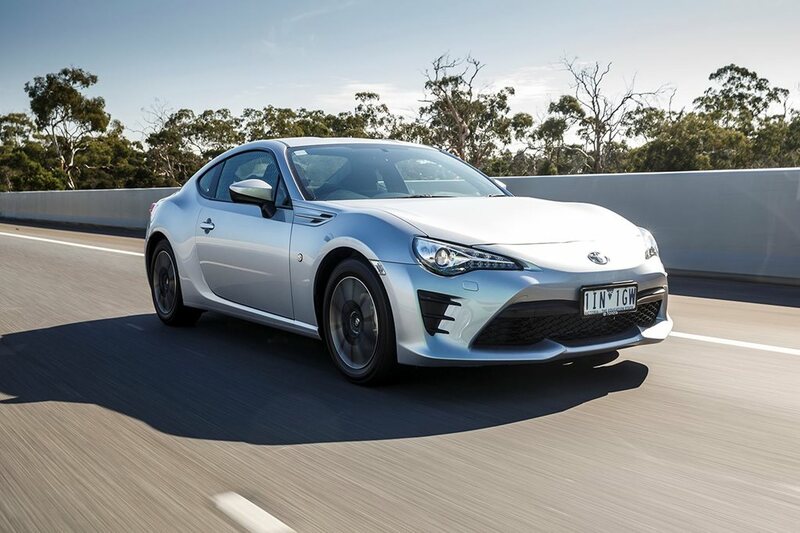 The less powerful option has claimed outputs of 145kW and 320Nm, and is good for 0-100km/h in 6.5 seconds, which still undercuts the 86/BRZ’s 7+ second sprint. Then there’s the question of platforms. Both Subaru and Toyota have modular architecture with proven records for dynamic prowess. Reports suggest the 86/BRZ duo will continue to be built at Subaru’s Gunma factory, indicating it’s the ‘Subaru Global Platform’ which will get the nod. The 86 enjoyed one of the greatest debuts in modern car history; it has the same bombastic energy and relentless fun as the Beastie Boys’ first EP, ‘Licensed to Ill’. But can the follow-up continue the tradition, and break new ground in the same fashion as the trio from New York’s ‘Paul’s Boutique’?